High Quality 12″ x 9″ Giclee Print of Foodface. 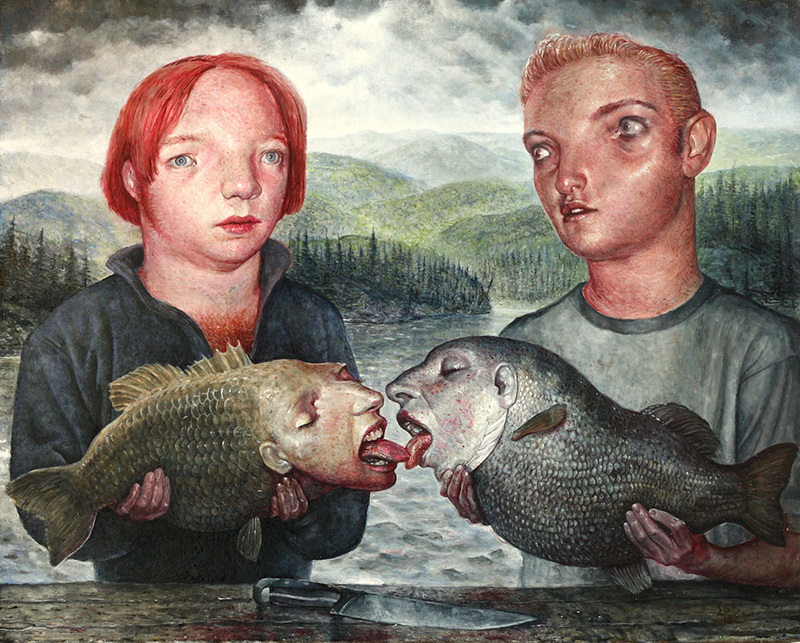 Based on the artists experiences growing up in Michigan, this surreal painting depicts two young fisherman caught in a very awkward moment. The original painting was sold to a collector but now you can have a reproduction.